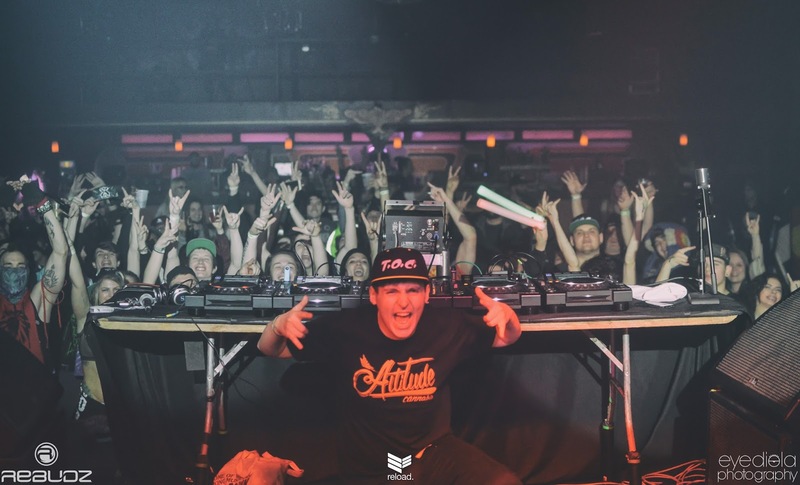 Denver proved once again to be the blessed Bass Capital after another Rebudz and Reload Productions show hit Cervantes Masterpiece Ballroom last week. 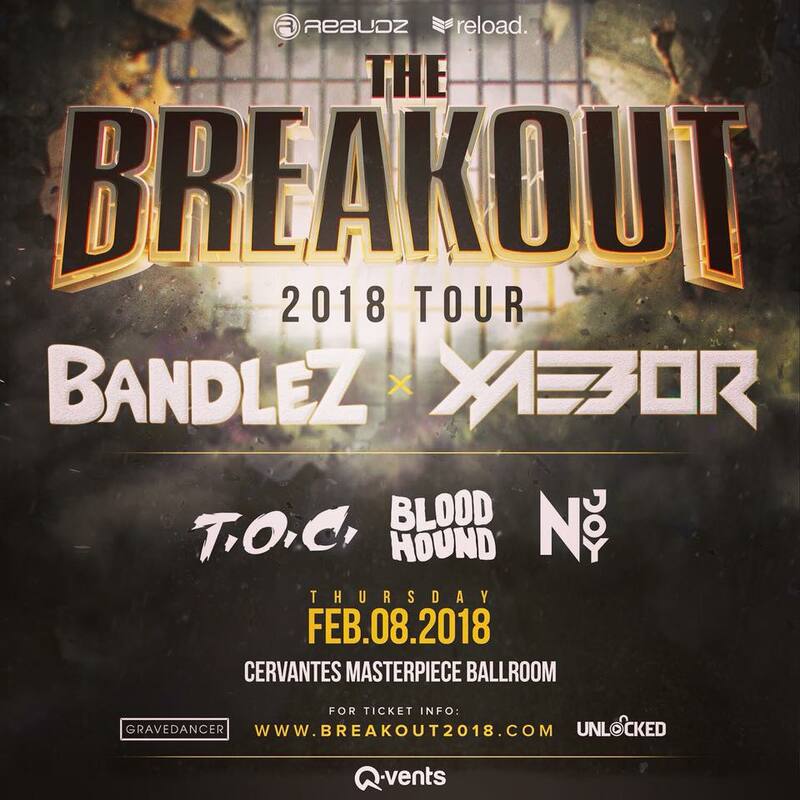 On Thursday, the official 2018 Breakout Tour with Bandlez and Xaebor headlining was a heavy hitter and heated up the entire ballroom when freezing cold temperatures blew winds outside. Any lover of naughty bass music in Denver was at this show, some of the people in the crowd have been following Xaebor on his Soundcloud profile for six years or longer and were happy to see him come to Denver again and start to blow up as an artist. The first time Xaebor came to town was a show at The Black Box on October 24. Denver was lucky enough to catch the unmistakable duo Bandlez as they headline the tour, which started in January in Illinois and the Midwest before hitting Dallas, San Fransisco, and more. A stacked tour with very selective cities, you know Rebudz and Reload had to throw down again. Opening up for the headliners were some of the freshest locals in Colorado, starting with a set to warm up the night from NJoy, followed by an abrasive riddim-dubstep set from the twin duo BloodHound. None other than Denver’s own T.O.C. (Totally Outta Control) opened up for Xaebor with a heavyweight bass set filled with low, hard basslines and some smooth-as-butter transitions into some of the heavy dubstep tunes to know and love. The energy became increasingly more and more noticeable in the room as the sets continued and the entire room was moving around at this point. The crowd was also growing and moving closer into the stage by now, the people at the front of the stage moving closer and closer in, because things were about to get real heavy. The next set by none other than San Diego native and one of the youngest members of BUYGORE Records and NSD Black Label, Xaebor. 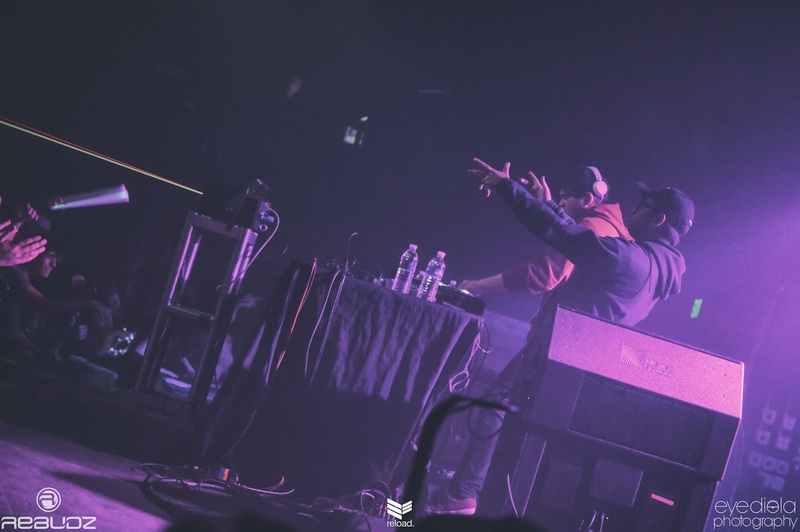 The set combined gritty elements of rap and hip-hop beats with chops of just the most insane sound design of riddim and dubstep drops you’ve ever heard. 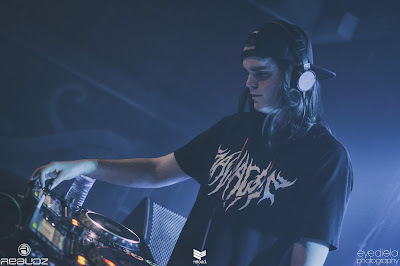 The set moved smoothly into each transition and was overall such a nice production from such a young artist, Xaebor is definitely on the come on and not one to miss next time he rolls through Denver if you like heavy beats. The stage production itself was minimal, but sometimes, in my opinion, the music speaks for itself. The entire room was bouncing and headbanging to these insane sounds. 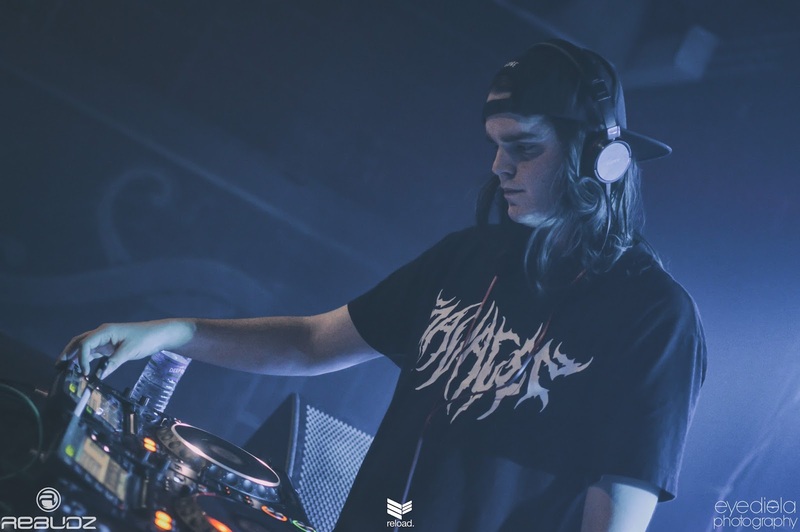 It was definitely an awesome place to be last Friday, and the performances from every artist up to this point were really structured to sound like the perfect night of some heavy-flowing bass. Each set seemed to really move smoothly from artist to artist and Xaebor really threw it down as the co-headliner of the show with some insane production skills. The duo Bandlez closed the show, last but of course, not least. They are some of the funniest guys out there, they call themselves “DiDi" and "ViVi” and are from Philadelphia, Pennsylvania. 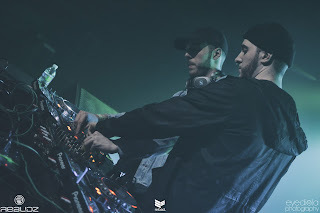 They release music on an independent record label, and nothing stops them from being themselves and creating some fire dubstep and trap tunes in the process. A recent release through TWONK and a never-ending list of remixes from some of the biggest artists in electronic music (Herobust and Monxx, Getter, and Tisoki, to name a few) have Bandlez circulating the web and Soundcloud universe with their unique sound to dance to for hours. The night ended with the crowd dancing and headbanging until they couldn’t move their necks anymore. 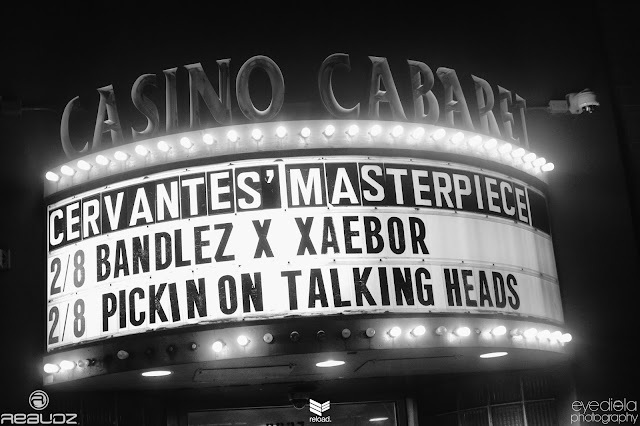 It was a stout night of dubstep for sure, at an awesome venue, Cervantes Masterpiece Ballroom, which won’t be forgotten for years to come. Until the next time, Denver will eagerly wait for the comeback of Xaebor and Bandlez. Shout out to Emma Ceaglske of Eyediola Photography for her acclaimed images of the night. 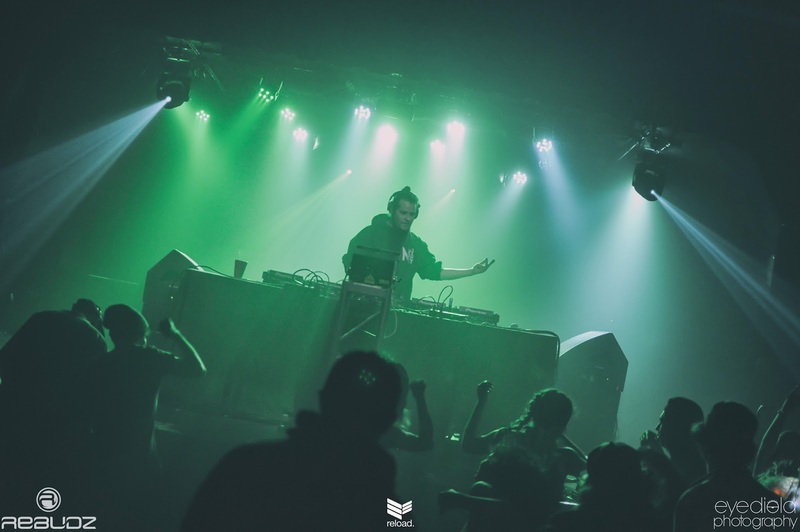 Also be sure to keep up on upcoming hard bass shows by following both Rebudz and Reload Productions as well as Q-vents on social media. 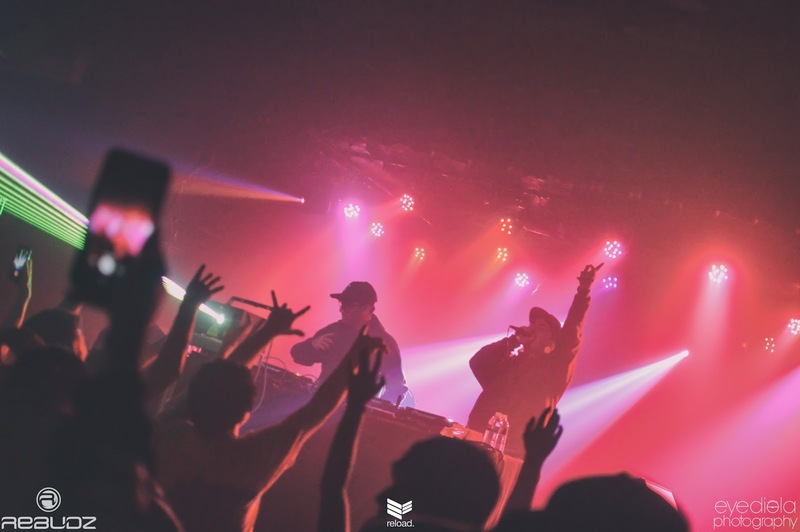 If you want to relive the sets yourself, be sure to check the awesome artists who played this show out on their Soundcloud feeds below and give them a follow.